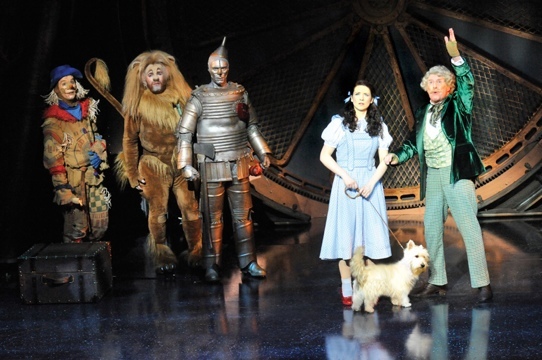 Some of the biggest recent musicals on the West End are very family friendly, but fortunately they are loaded with in jokes, sly references as well as plenty of nostalgia to provide of appeal, in most cases, for grown ups. A sparkling, fantastical family hit, Shrek gleams with deliciously inventive, highly imaginative theatricality. Ensconced in arguably the West End’s most prestigious theatre, the show is a perfect fit given the British penchant for festive pantomime fare. The very definition of the phrase ‘sparing no expense’, Tim Hartley’s eye-popping designs are on a spectacular scale. The Fairy Tale Creatures in particular are a witty delight. If these fairy tale creatures are fun for children to recognize, for the music theatre aficionados there are a slew of music theatre references sprinkled throughout. Man in Chair spotted the following: Gypsy, A Chorus Line, Wicked, The Lion King, Dreamgirls, Les Miserables and West Side Story not to mention a nifty tribute to Fosse’s Crunchy Granola Suite in Princess Fiona’s act two opener “Morning Person”. Puppeteering is part of the magic too, and if Puss in Boots and the Gingerbread Man (Gingy) weren’t cute enough, the Dragon is just amazing. And don’t even get me started on the tap dancing rats. 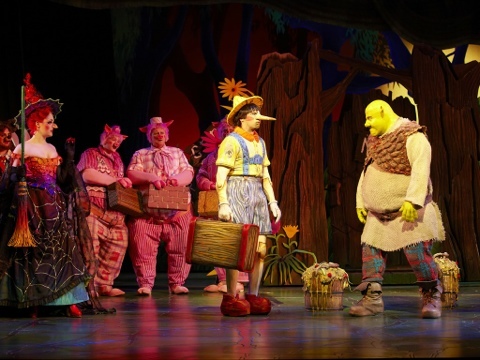 Nigel Lindsay has the curmudgeonly but loveable Shrek down pat, Kimberley Walsh demonstrates that Princess Fiona was only meant to be sung by Sutton Foster and Richard Blackwood is passable as Donkey. The real star is one tome soap heartthrob Nigel Harman as the diminutive Lord Farquad. Harman had the physical comedy down pat, sang strongly and somehow hammed with without appear hammy. A far more enticing property than the dreary Addams Family, Man in Chair would love to see Shrek in Melbourne’s Regent Theatre, and hopefully will fairly soon. Hmmm all that money and what is there to show for it? A flashy production to be sure but with a property this well known, you have to bring something else to the table to save the audience snoozing off midway through. This is not to say that children new to the story wouldn’t derive significant thrills from the action, but Shrek and Matilda provide this while catering for the grown ups as well. Andrew Lloyd Webber sets himself up for failure by stating in the program that he wanted to do more than ‘take the film and out it on stage’. If this production not the film on stage then I don’t know what it is. Starting with the familiar monochrome farmscape, the show shifts to glorious technicolor once Dorothy and Toto are not in Kansas anymore. Dizzying cyclonic effects are impressive and the double revolve set is generally used well but to think that this is the same production team who mounted the charming and spectacular Sound of Music in 2007 is definitely disappointing. 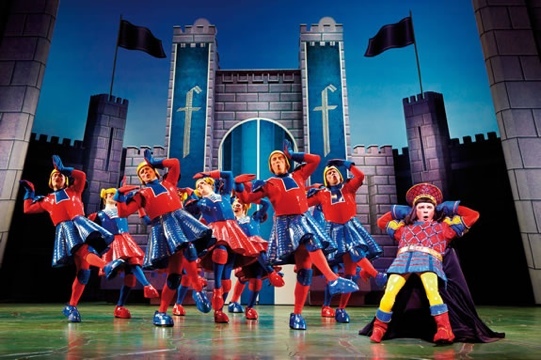 The cheek of Lord Webber in imposing his own material into the iconic score pays off somewhat with a charming, if plot-slowing, song for Professor Marvel and a fabulous production number for the Wicked Witch of the West, which finally gives the spunky male dancers something to do. Some pleasing design elements include the Wicked Witch’s hair twirled into the shape of her usual pointy hat silhouette, Dorothy’s gorgeous Emerald City gingham dress and the spectacular use of both fire and flying. Overall, style dominates substance in a relatively charmless outing that’s passable for kids. Don’t you just love it when a show completely lives up to its hype? 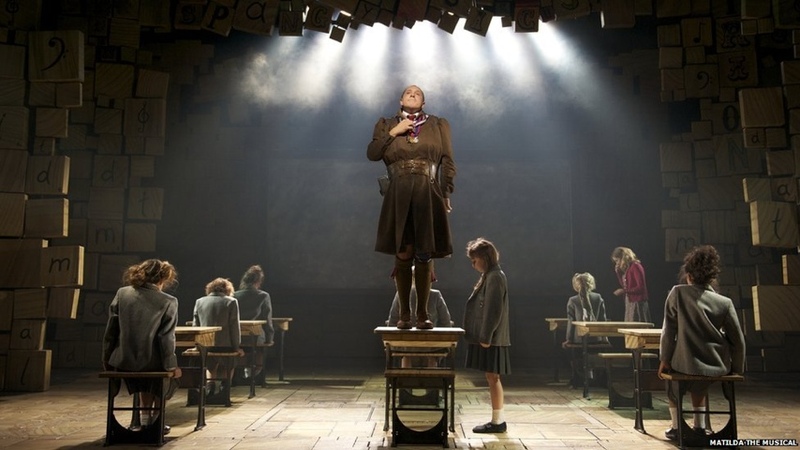 Matilda succeeds on every level, the perfect integration of all aspects of theatre into a cohesive, incredibly entertaining and completely satisfying whole. At the heart of the success is Roald Dahl’s, a story written after Man in Chair’s distant childhood and hence a plot that was unfamiliar. The term ‘spoiler alert’ is not usually relevant to children’s books but the way everything came together in the end was practically Dickensian and highly affecting to this newcomer. Tim Minchin’s immediately accessible score is most notable for the impressive intricacy of its lyrics. No doubt they will stand up to many repeat listenings. 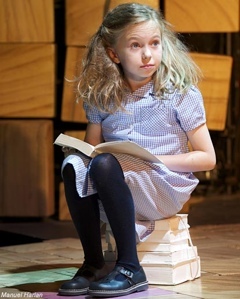 Dennis Kelly’s lean book is a significant factor in taking the magic of Matilda from the page to the stage. Along with the writers, Director du jour Matthew Warchus has created a high concept world with performance energy at stratospheric levels. Despite their many outlandish traits, many of them painfully recognizable, each character is also grounded in humanity. Magic, projections, puppetry, cinema, all frequently part of Warchus’ bag of tricks, are used to neat, not showy, effect. Part of the enjoyment of seeing the musical is the uniquely immersive atmosphere created in the Cambridge. A massive pro arch extends to the ceiling of the auditorium, with art work stretching out along the walls of the house into the bars and foyers. Many an entrance and exit take place via the aisles and there is even a bit of singing from the boxes. 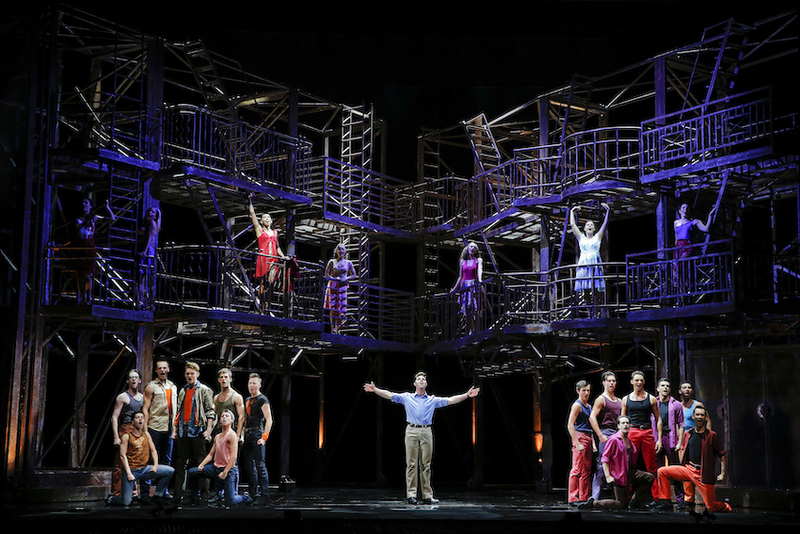 Rob Howell, designing both sets and costumes, shows wit and flair far beyond the norm. 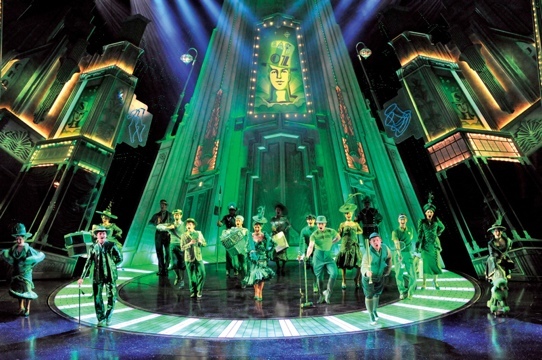 The sets design in particular is of a unified artistic whole not seen since Wicked. Peter Darling, accustomed to choreographing children in Billy Elliot, stages numbers of high octane wit and delight. Bertie Carvel’s Miss Trunchbull, a hideously glorious creation if ever there was one, is one of the rankest villains of all time. Body language, vocal affectation and sheer glee come together in an unforgettable performance. Lauren Ward is a darling Miss Honey. Melanie La Barrie is warmth personified as Mrs Phelps (Man in Chair has pre-cast Leah Howard in this role for the eventual Australian production). Paul Kaye chews every bit of scenery in sight as the odious Mr Wormwood. Chief attraction, of course, is the cast of children and they are nothing short of amazing. The masterstroke here is treating them as serious performers rather than cute props. They sing, they dance, they act, they swing, they move sets, they jump on trampets. No cotton wool at the Cambridge. 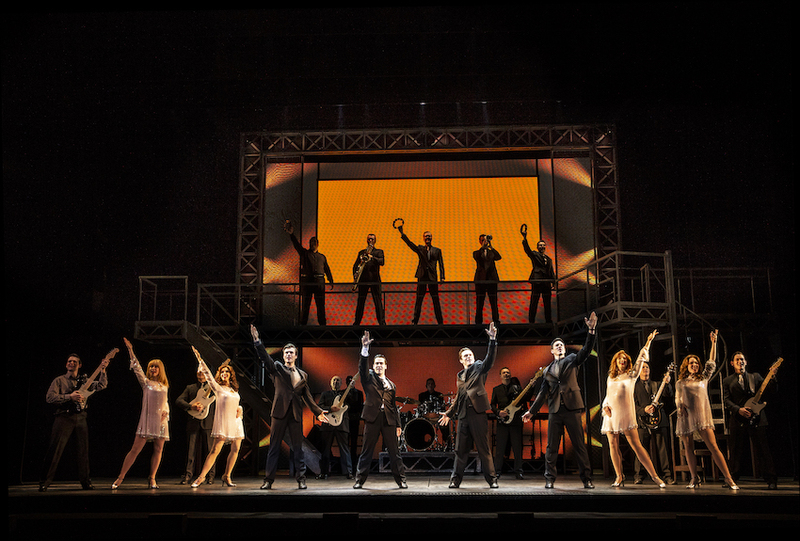 The trust of the creative team is rewarded with theatrical artistry of the highest calibre. Sophia Kiely, Matilda of the day, was a goldmine, sweet without cloying, loud but not brazen and just totally adorable in the often heartbreaking role. Special mention to the minuscule moppet Ted Wilson. 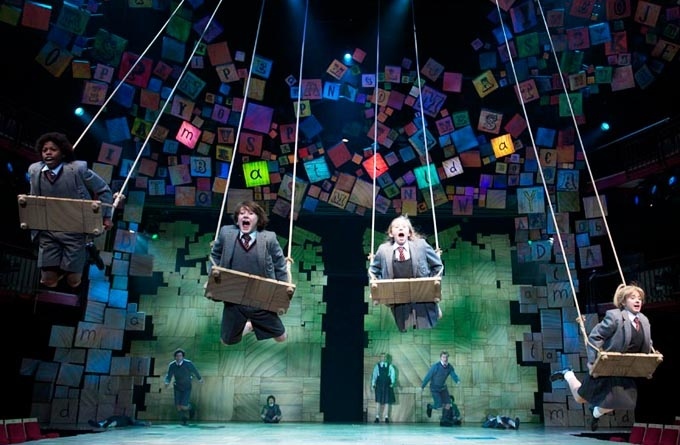 Book your ticket to Matilda as soon as you book your flight to London.